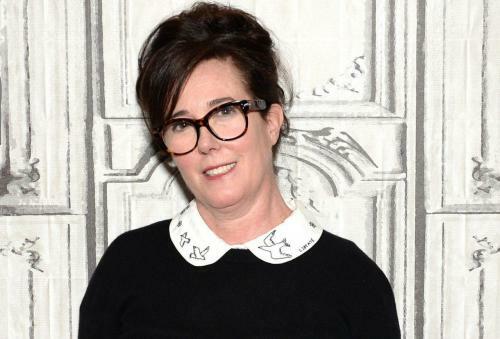 Designer Kate Spade, 55, known for her colorful handbags was found dead on June 5th at her home in Manhattan. She committed suicide by hanging and a note was found at the scene. Kate Spade began her career at Mademoiselle Magazine and worked her way up from an entry level to a senior editor for accessories. She often got disappointed at the selection of handbags available for fashion photo sessions and that is when she decided to start a business and design bags. She preferred a simple bag with no flaps or zippers. She worked from her apartment without any training in design and used construction paper and Scotch tape for the dimensions. She then took her designs to a manufacturer in Brooklyn and showed the first six models at the accessories show in 1993. Whether the bag was made from nylon, leather, canvas or other material, her bags had a distinctive look with an architectural solidarity. The bags came in bright hues or pastels with vibrant contrast lining and simple handles. Her bags were picked up by Barneys and a number of other department stores. She was recognized as one of the of accessories. Her husband is the elder brother of actor and comedian David Spade. He became the chief executive of the Kate Spade Corporation and they sold 56 percent of their company in 1998 to Neiman Marcus for $33 million. She expanded her offerings to shoes, sunglasses, paper products, clothing and luggage. By 2007 she sold the remaining interest in the company for $124 million and is currently owned by a corporate entity Tapestry. Survivors include her husband and their 13 year old daughter.